This morning I hosted a little Easter party and egg hunt for some friends and their toddlers/preschoolers. I like to keep parties simple and not too complicated for me to prep, so we stuck with a super simple egg craft. 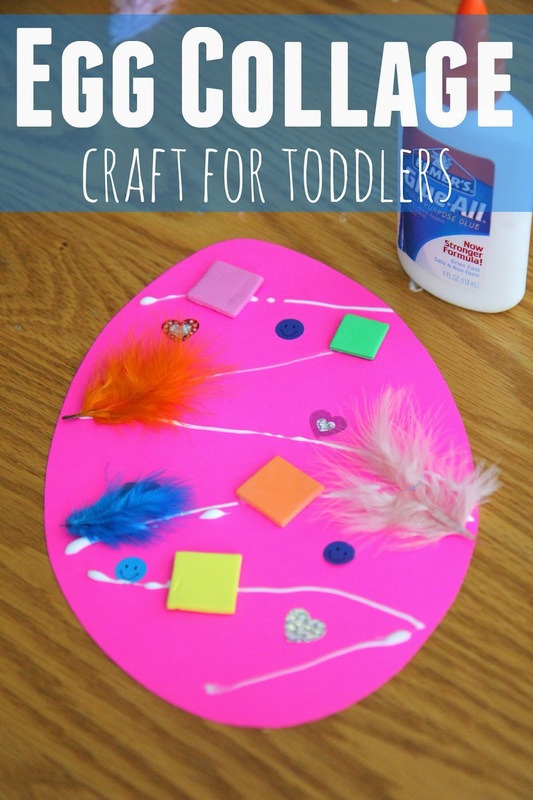 I shared some other favorite egg crafts and activities and some cool bunny crafts and activities last week, so make sure to check them out. You can also find more ideas in our weekly Toddler Approved newsletter! Our Easter Egg collage craft is super easy for toddlers on up. I even like to make my own sitting next to the kids because they are so fun to make! The reason this craft is awesome is because it is really open ended and can use whatever you have around the house. Any other collage materials you would try? To make this craft all you need to do is add some white glue to your paper egg and then start sticking different materials on the egg! Once the eggs are dry you can display them or make a few more and string them together to make a festive Easter garland! 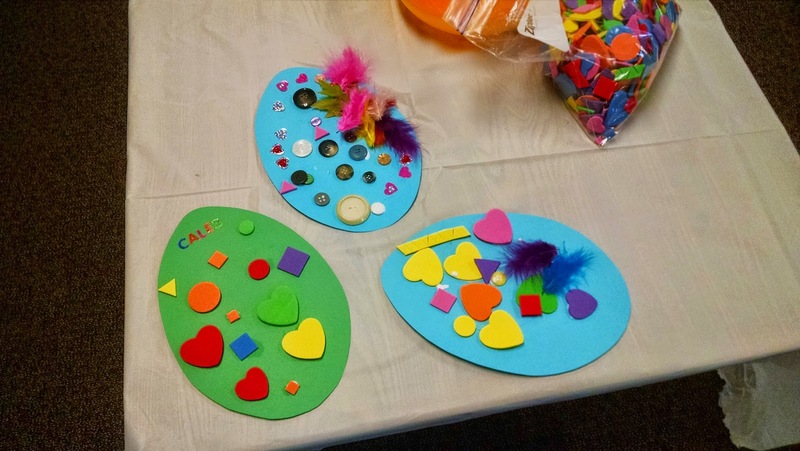 Along with our Easter egg collage craft we also did some Easter play dough play using these cute printable Easter play dough mats from Modern Parents Messy Kids. Do you have any fun Easter activities you've tried recently? Come share the links! I am always looking for more fun ideas to try and pin to my Easter Crafts and Activities Pinterest board.